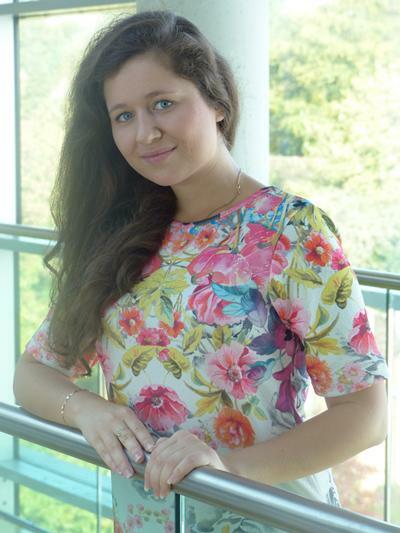 Miss Natalia Permyakova is Postgraduate research student within Social Statistics & Demography at the University of Southampton. My research interests are family and adult health, particularly of men in Russia. Bachelor of Science in Statistics and Master of Science in Statistical and mathematical methods of economic analysis and forecasting from the Moscow State University of Economics, Statistics and Informatics (MESI), Russia. Awarded the Full State Academic Scholarship and the University Studentship for the achievements in the research. Master of Science in Social Statistics (Research Methods pathway), University of Southampton. Awarded the Social Statistics Masters Scholarship. Before coming to the University of Southampton, I had an internship and work experience at the Department of Survey Sampling, Scientific Research Institute of Socio-economic Statistics of Federal State Statistics Service (Statistics Institute of Rosstat). Among my responsibilities was team-work preparation and implementation of methodological recommendations on updating the sampling frame for the Moscow household surveys. Student member of the Royal Statistical Society (RSS). My BSc dissertation was focused on the Russian mortgage market. During the Master course at the Moscow State University of Economics, Statistics and Informatics (MESI), my research interest shifted to population studies. At the University of Southampton, I started to be particularly interested in the social science of health and decided to focus my MSc dissertation on the comparative study of men’s health aged 50 years and older in Russia and China. Currently I am studying MPhil/PhD in Social Statistics at the Division of Social Statistics & Demography, University of Southampton. Title: “Men’s health and family environment in contemporary Russia”. The overall aim of the research is to examine how changes in family environment influence adult men’s health status of the Russian population. I will use publically available data from the Russia Longitudinal Monitoring Survey (RLMS-HSE). This research will be first which opens the dyadic analysis of adult men’s health within couples in households in Russia. The main hypothesis is that health status of individuals depends on their family environment. I am planning to finish my project in 2017/2018. Supervisors: Dr Brienna Perelli-Harris, Dr Jennifer Holland and Dr Andy Hinde. Funding: +3 ESRC DTC Research Studentship in Social Statistics; ESRC Advanced Quantitative Methods (AQM) stipend. Demonstrator: Demographic methods I; Population analysis; Global Health.